Nat Sherman's Timeless lineup will now go by the names Timeless Prestige, Timeless Supreme, Timeless Sterling and Timeless Panamericana. Nat Sherman International, which was acquired last year by tobacco giant Altria Group Inc., has announced that it is restructuring its portfolio of premium cigar brands. The New Jersey-based company, though, stressed that the actual cigar blends will remain the same. Instead Nat Sherman, known for premium cigar brands such as Nat Sherman Timeless, Nat Sherman Metropolitan, Nat Sherman Panamericana and Epoca, has renamed some of its brands and will be debuting new modern packaging for all of them at the upcoming IPCPR trade show. “This new branding approach ensures our products are positioned for continued growth in both immediate and long-term future,” said Michael Herklots, vice president of retail and brand development. The clock remains on the redesigned Metropolitan brand, but it now looks like a modern watch face. Behind the clock are gold pillars that resemble the New York City skyline. 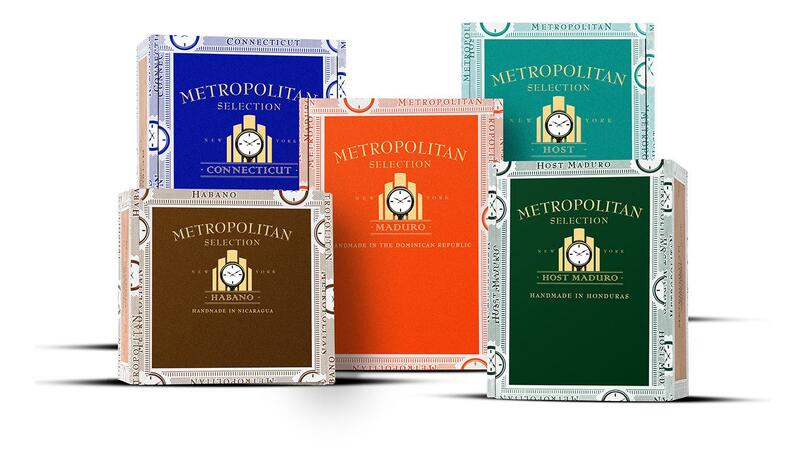 Metropolitan, which was created originally in the ’90s, will include five sub-brands: Metropolitan Connecticut, Metropolitan Maduro, Metropolitan Habano, as well as the company’s top-selling Metropolitan Host and Metropolitan Host Maduro blends. The packaging for each Metropolitan sub-brand has been touched up a little. The front of the boxes no longer include the cigar store Indians flanking a clock, the longtime symbol of the Nat Sherman Townhouse located on 42nd Street in Manhattan. The clock remains but now looks like a modern watch face. Behind the clock are gold pillars that resemble the New York City skyline. The Timeless brand, which has made Cigar Aficionado’s Top 25 best cigars of the year list four times, has been overhauled with new names and new packaging. Gone are the names Timeless Dominican and Timeless Nicaragua. 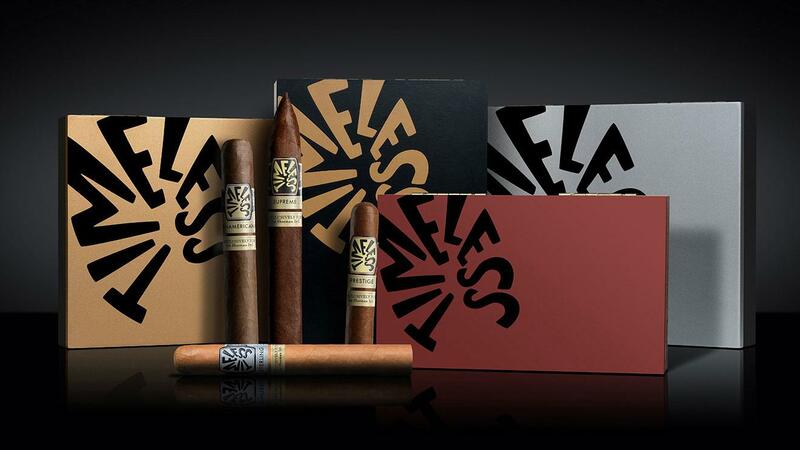 The new Timeless lineup will now be called Timeless Prestige (previously known as Timeless Dominican), Timeless Supreme (previously Timeless Nicaraguan), Timeless Sterling and Timeless Panamericana. The packaging for each Timeless brand has also undergone a major redesign. Each brand’s box is painted in a single color: Timeless Prestige’s color scheme is red, Timeless Supreme is black, Timeless Sterling remains silver and Timeless Panamericana is gold. On each box, the word “Timeless” is written on the front in a lively font in a circular pattern reminiscent of a clock. 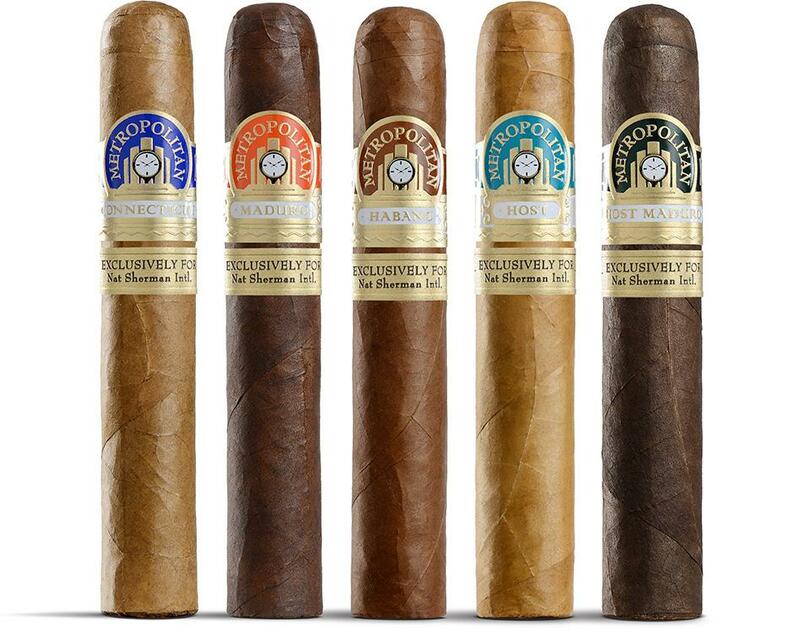 Metropolitan's five sub-brands, from left: Metropolitan Connecticut, Metropolitan Maduro, Metropolitan Habano, Metropolitan Host and Metropolitan Host Maduro. Another notable design change is the bands adorning each Timeless cigar. The band includes the same font treatment seen on the box, with the sub-brand name just below. A secondary band reads “Exclusively for Nat Sherman Intl.” The secondary bands also appear on the new-look Metropolitan and Epoca. Panamericana is sold exclusively through retail members of the Tobacconists Association of America, and Herklots said that the brand restructure will not affect this partnership. 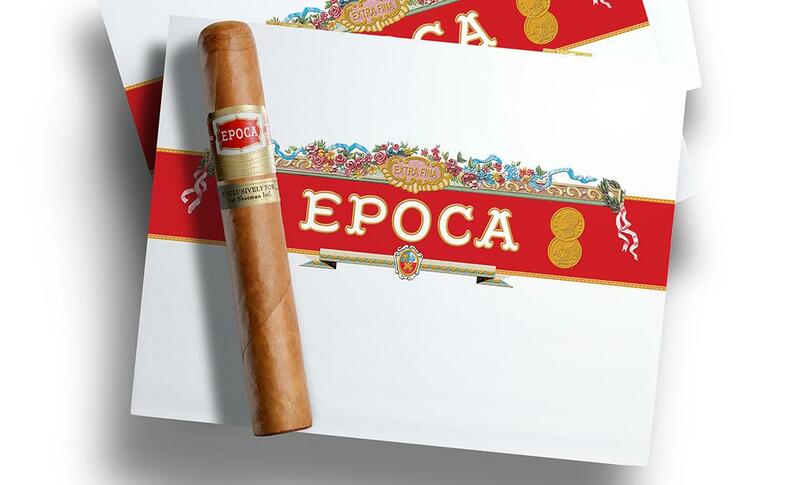 Epoca, a long discontinued brand that Nat Sherman revived in 2014, will be the third core brand. For now, however, it will not include any sub-brands, but Herklots did say that is likely to change. The new Epoca box is mainly white, save for a red band with the Epoca name spanning the center with a floral treatment above it. “Currently there is one blend offered under the Epoca brand, but we look forward to growing this brand in the future,” said Herklots. The new Epoca box has moved the brand’s “old school” lithograph onto the inside lid. The outside of the box is mainly white, save for a red band with the Epoca name spanning the center with a floral treatment above it. According to Herklots, all of the design work was done in-house by creative director Steven Silvestri. “We spent a tremendous amount of time making sure we maintained familiarity, preserved authenticity but also elevated the packaging across the board,” Herklots said.